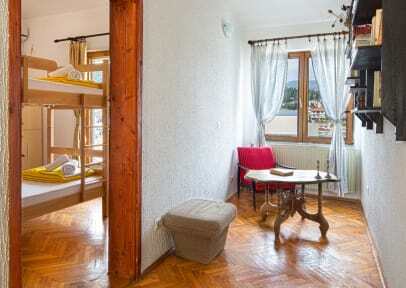 Best hostel in Montenegro. They are super nice, the place is very clean, well located and beautiful. At night everyone gathers in the common room, to drink some beers, play games or just exchanging experiences. Also, be sure to go on their boat trip. I wish I could have stayed longer, thanks for everything, hope to see you soon! This hostel was great- booked for one night and ended up staying three, and I would have stayed longer if I'd had the time. The staff was super helpful and friendly, the bed was comfortable, and all the facilities were quite nice. Free beer in the evenings is a nice touch and creates a great communal atmosphere.